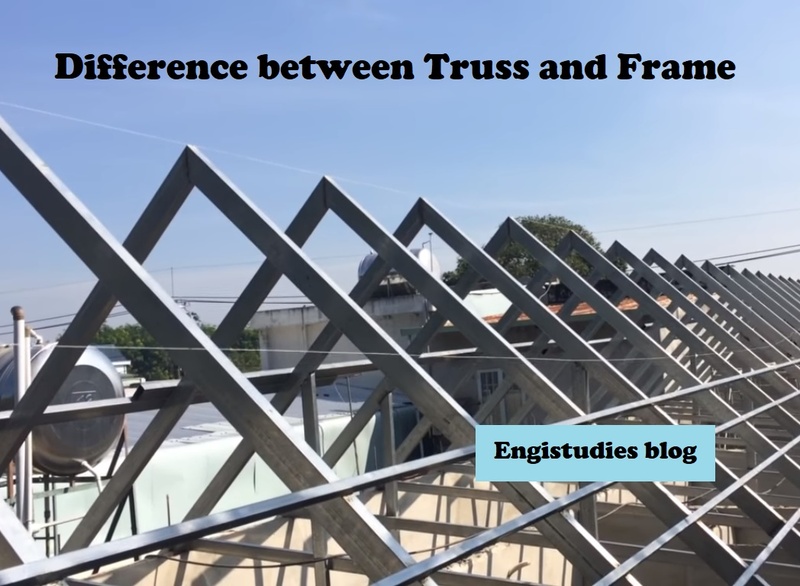 In engineering many times we come across the word truss and frame. Many time they are used interchangeably. Though there exist some similarities, today we will study the basic difference between the two viz Truss vs Frame. Both truss and frame are assembled form of triangular members. The members are connected at joints. Frames can transfer moments whereas trusses cannot. The table below shows how to differentiate between the two structures. Joints will be pin type Joints will be rigid / welded. Truss member can rotate about the pin joint freely. Frame member, unlike truss, cannot rotate. They don’t transfer of moments. They do transfer moments. They are designed to bear tensile or compressive loads only. They can withstand axial loads as well as bending moments. Only nodal forces can be allowed and no moments. Point load, uniformly distributed or uniformly varying load and even moments can be applied at nodes or anywhere along the length.